Windows 8.1 was first released back in 2013. So it’s really not a new system. It’s easy to find DVD copying software that can work on Windows 8.1. Depending on what kind of backup you need, you can have a lot of different DVD copy software to choose from. You can choose to copy the DVD to your Windows 8.1 laptop as a DVD folder or a DVD ISO image. There are also programs that allow you to directly copy a DVD disc to a new, recordable disc. Actually, there’s a program I know that can do all the things I mentioned above. Check out what the program is and how to use it to copy DVD in Windows 8.1. Leawo DVD Copy is a comprehensive DVD copying and backup tool capable of perform DVD copying in several different ways. First of all, it can copy your DVDs to your computer hard drive as a DVD folder or an ISO image or both at the same time. It also allows you to create a new DVD disc by directly copying the original disc to a re-writable DVD disc. Its support for 1:1 lossless DVD copying allows you to create a copy of your DVD collection with no quality loss. You won’t have to make any compromises on the video and audio quality of the disc when creating the backup. Learn how to copy DVD in Windows 8.1 using Leawo DVD Copy in the content below. Leawo DVD Copy is one of the most user-friendly DVD copy program to copy DVD Windows 8.1 users could try. It’ll just take a few steps to copy a DVD. But I’ll try to include more details in it to make it as thorough as possible. There’s one thing you should know about the program. It’s bundled into a software suite called Prof.Media a few years ago to better serve different users. Step 1. Fire up Prof.Media on your Windows 8.1 computer. There are in total of 8 modules inside it and you can find the DVD Copy module on the bottom row of module shortcut icons. Click on the DVD Copy icon to open it in Prof.Media. Step 2. Put the original DVD disc in your disc drive to get it ready for copying. And then click the buttons on the interface of DVD Copy in this order: Add Blu-ray/DVD>Add from CD-ROM>[title of your DVD] to have the DVD data imported to DVD Copy. Step 3. It will take a few seconds for DVD Copy to load disc data. Afterwards, it will present to you several lists with all the contents on them. You can see the video titles list, audio track list as well as the subtitles list. The first thing to do is set the disc type. Click on the button on the bottom left to see a drop-down menu with two disc type options: DVD-9 and DVD-5. Different options represent different quality level. If the original disc is DVD-9, in order to keep the quality of the copy in the same level as the original disc, you will have to choose DVD-9 here. But you can go for DVD-5 to have the program compress DVD-9 to DVD-5 to make the backup smaller. But the program can’t help you up-convert DVD-5 to DVD-9, if that’s what you are thinking about doing. Step 4. Next you need to decide and choose what content in the original DVD disc you want to copy. You have 3 buttons to help you pick the content you need quickly. To save all the data from the original disc to the copy, just use the Full Movie button. If you only want to save the main movie, then you can click the Main Movie button to let the program help you pick out the main movie from the video title list. The video it picks is the one with the longest duration by default. And you get to choose one audio track and one set of subtitles from the respective lists below the video title list. If you want to exclude specific content from the copy, then you can use Custom Mode. It allows you to manually choose the content you need. You can directly check the needed contents from the respective lists and the rest will not be included in the copy. If there are too many videos in the disc and you are not sure what videos to choose, just click on one video from the title list and then click the Play button on the video player on the right side to play the chosen video. And then you can see if that’s the video you need. Choose the right copy mode and the content you need to get ready for the final step. Step 5. Click the green Copy button above the video player and a new panel would come out. There are 3 options on the top: Folder, ISO file and a drop-down menu box. 1. If you want to copy the DVD content to your computer in the form of a DVD folder, check the Folder option and set where to save it in the Save to box below. 2. If you want to convert the DVD content into a DVD ISO image file, check ISO file and then set the location for the output ISO file in the output path box under the Save to label. 3. If you want to copy the original disc to a recordable DVD disc, connect another DVD drive to your computer, put the recordable DVD disc in it and select it as the target of the copy from the drop-down menu of the third option. The second DVD drive you use must be able to burn DVDs in order to make the copy. That’s how to copy DVD to DVD in Windows 8.1 directly using Leawo DVD Copy. Afterwards, click the Copy button to start copying. 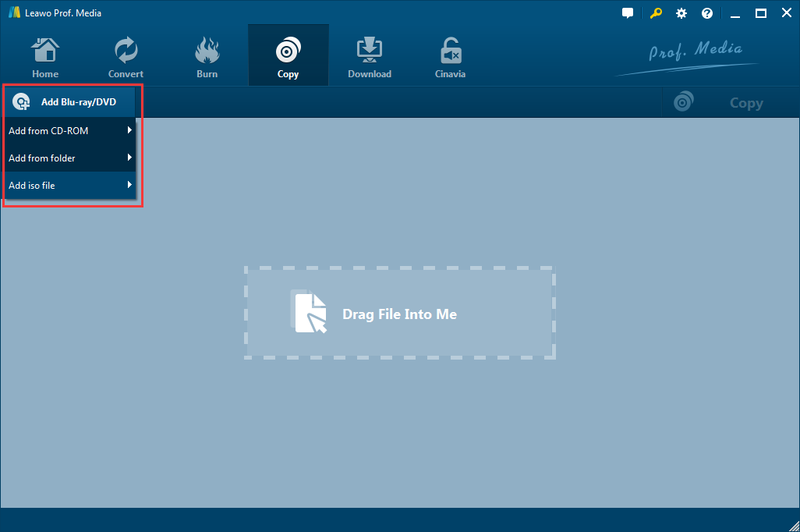 Note: You can choose Folder and ISO file at the same time to create a DVD folder and an ISO image at the same time and save both files to your computer. Also, you can directly copy the original disc to a new disc using only one drive. Here’s how to do it. 1. First have the original DVD disc copied to your computer as a DVD folder or an ISO file. 2. Take the original disc out of the drive and put in the new recordable disc. 3. Import the DVD folder or ISO file to the program by directly dragging them to DVD Copy’s interface. 4. Set disc type and directly choose Full Movie. 5. Click the Copy button to call out the panel we previously saw from Step 5. Check the third option on the top and then choose the rewritable disc as the target from the drop-down menu. 6. Click the Copy button to start copying/burning the files to the recordable disc. That’s how to copy DVD in Windows 8.1 using Leawo DVD Copy. I might have included too many details in the above steps and made it look complicated, but it’s actually very easy. You should be able to master the program quickly. Here’s a video tutorial that will guide you through the DVD copying process with Leawo DVD Copy briefly. If you are in the mood for watching one of the movies you’ve backed up, you can directly it on your computer. Both the DVD folder and the ISO file can be played directly on your computer without having to burn them to a disc first. And it’s fairly easy to play them. Here’s how. The DVD folder includes all the videos you’ve backed up. And you can find the videos in it in a format that can be played by most third-party video players. But you will have to find them in the folder first. 1. 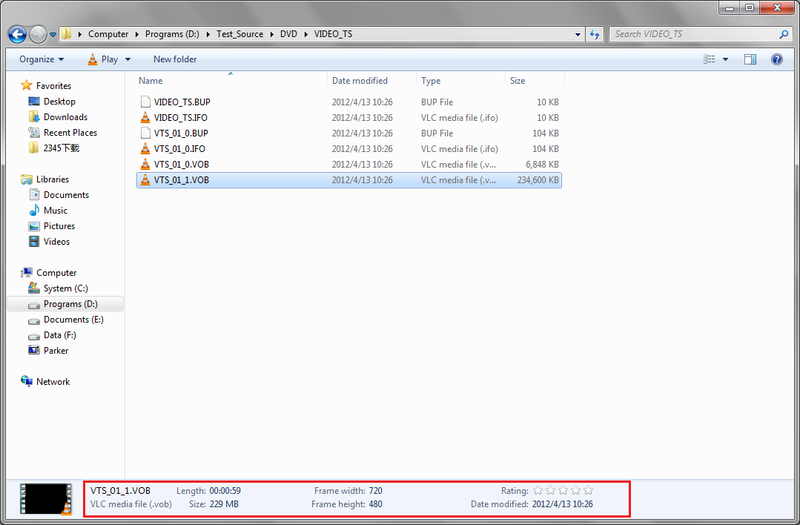 First open the DVD folder and you should see a folder inside named VIDEO_TS. Double-click on it to open it. 2. 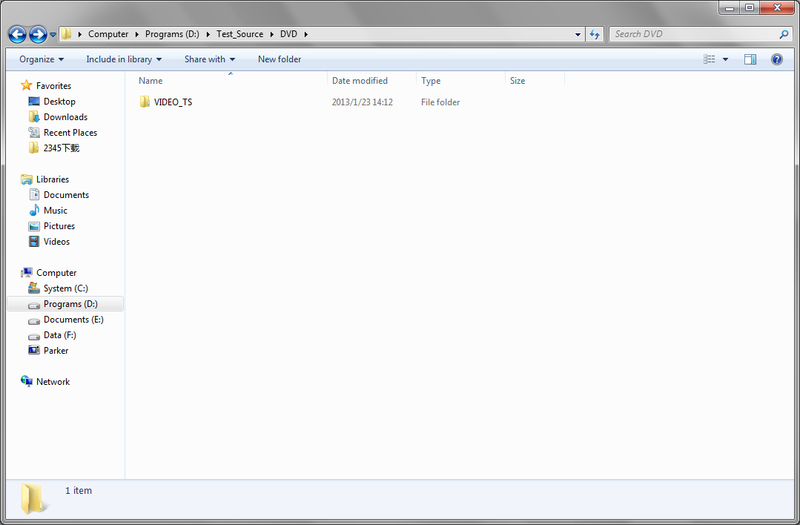 All the videos are in this folder and usually they are in VOB format. To find out which video is the main movie, just click on it to see more detailed information about it. 3. After finding the main movie, use a video player like VLC to play it on your computer. Opening an ISO file is not not as easy as watching a movie from the DVD folder. There are some video players that can directly play an ISO file and that’s the most direct way to play it. There aren’t much video players support that. But you do have some excellent options to go with and one of them is Leawo Blu-ray Player. 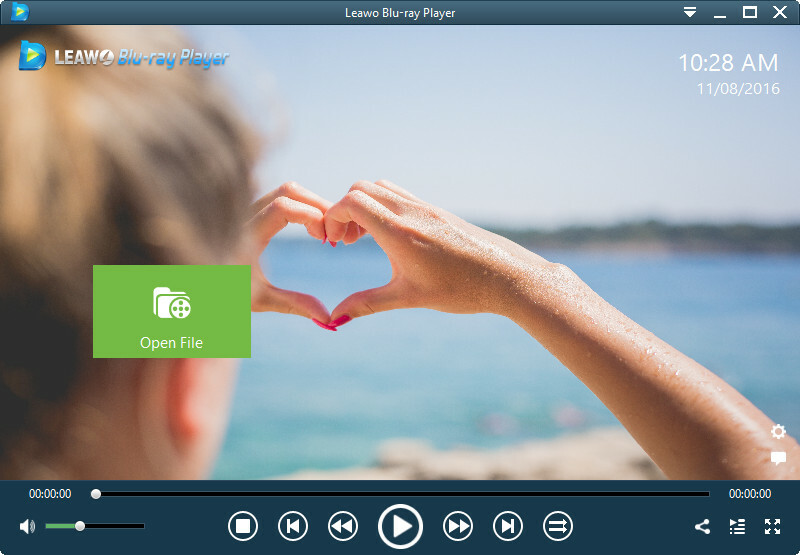 Leawo Software doesn’t just offer you with an excellent DVD copying tool but also a powerful and free video player that can play Blu-ray/DVD discs, ISO files, and videos in all kinds of popular formats. 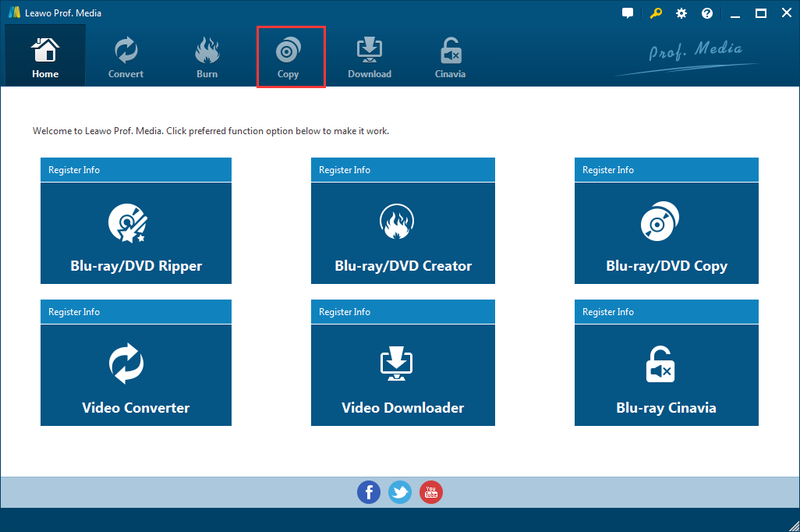 Download and install Leawo Blu-ray Player on your Windows 8.1 laptop, open it and then drag the source ISO image to it to play the movie inside the ISO file. DVD discs are more fragile than you’d think, so making a backup is the right thing to do. If you haven’t done this before, you may want to start now.